Whether it's a home CCTV installation or an office surveillance system, we have the experience and knowledge to supply and install a robust and advanced CCTV system for our customers. By only recording when an event happens, our digital video recorders reduce the amount of wasted footage and increase the maximum recording time. 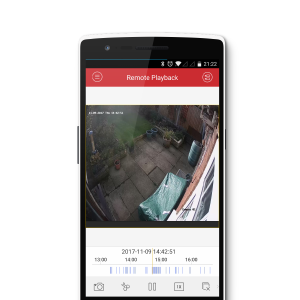 Once connected to a broadband router our CCTV systems can be viewed from anywhere in the world. Sharp and crisp surveillance cameras from 720p to 4k, giving a clear and detailed view when it's most needed. The CCTV cameras we install are designed to enable surveillance under conditions with little or no external light sources.